As Memorial Day quickly approaches, I realize that summer is upon us and I start thinking about vacation. We take a family trip to the beach every year with my father and sister, along with her family. We all love the beach and try to spend as much time on the sand as possible, but this wreaks havoc on your skin if you are not prepared. 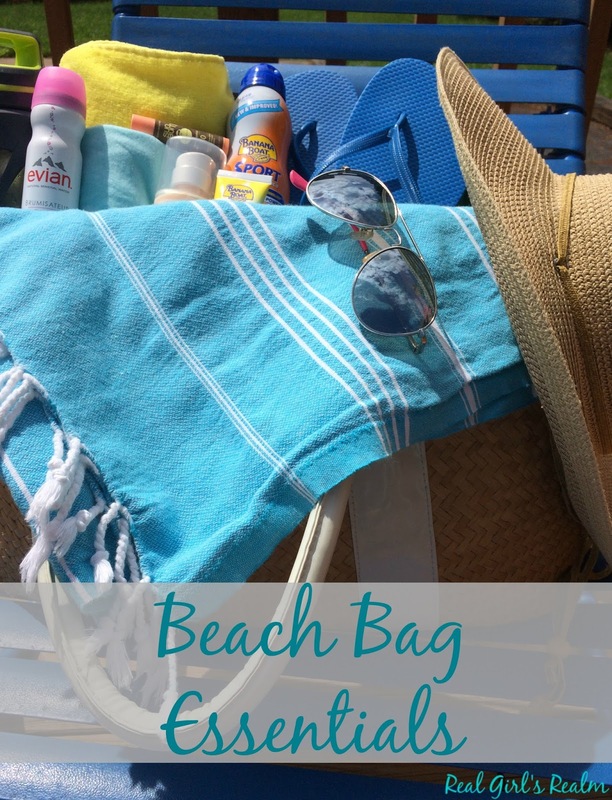 Today I am sharing what I pack in my beach bag when enjoying a day out in the sun! 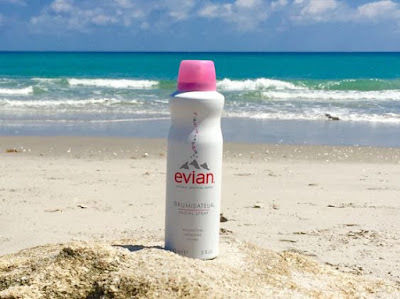 evian® Facial Sprays - Sun and salt reduces the moisture in your skin, so I bring along this cooling spray to keep my face hydrated throughout the day. This natural mineral water from the French Alps is beneficial for any age and skin type and comes in 3 convenient sizes. Sunglasses - Protecting my eyes is a must so I always have a couple of inexpensive sunglasses on hand, like my fun Betsy Johnson ones from TJ Maxx! 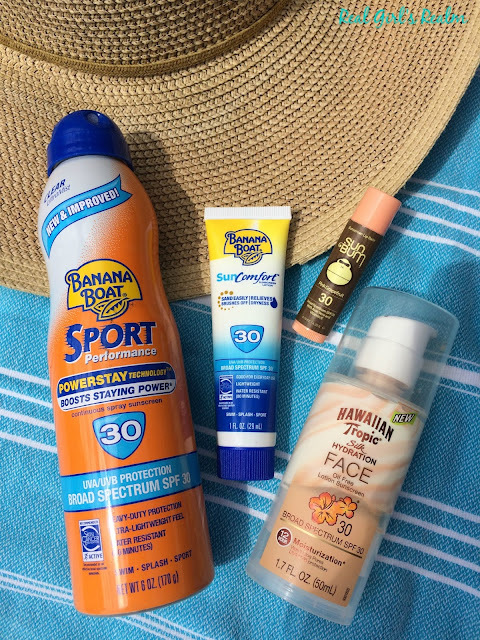 Sunscreen - I always pack a variety of SPF's and types of sunscreen, such as spray for my body and stick for my face. Lip balm - My lips always seem to get sunburned quickly, so I have started using a lip balm that contains sunscreen, like this one from Sun Bum. Ball cap or Sun hat - Even though I love the sun, I want to protect my face and hair, so I always pack a hat to put on throughout the day. Flip Flops - The sand gets super hot, so I always throw a pair of inexpensive rubber flip flops in my bag. I love the ones from Old Navy because they are only a couple of dollars and come in every color, so I can coordinate them to match my swimsuit! Cute cover up - I also throw a bathing suit cover up in my bag, like this long tank top from Victoria's Secret. It is perfect to throw on when I want to grab a bite from the snack bar or a frozen treat from the near by ice cream shop. Towels - I like to roll up a few towels in my bag so I can have one to sit on and one to dry off with. Water bottle - If you are going to be in the sun all day, it is important to keep a couple water bottles on hand to keep you hydrated. What's in your beach bag?? 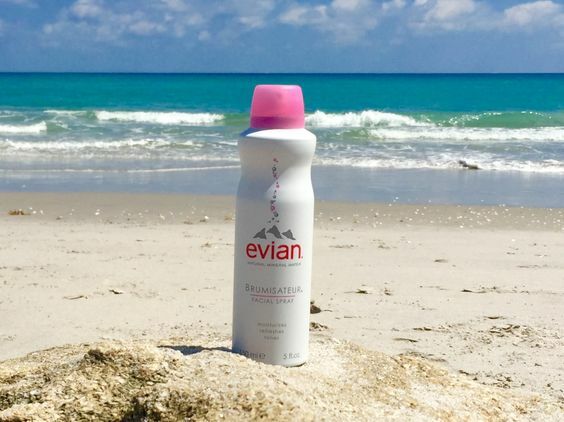 For more tips, follow evian on Facebook and Instagram! Disclosure: This post was Powered by BrandBacker. I received a complimentary sample of evian facial spray for review, but all opinions are my own. Oh gosh. The beach sounds so perfect. I'm so excited to be in your neck of the woods soon where it's NICE OUT!!! I am ready for the beach and I hope the weather is nicer when you are here. It has been chilly and rainy all this week. YUCK! I never think to bring a facial spray to the beach! I cannot wait for some warm weather to hang out there all day! Same here, Jill! That spray is great for cooling you off! Great giveaway! I haven't been to the beach in ages. Good luck! Hopefully you will be able to plan a beach trip soon! Definitely all great essentials! I have that facial spray but never thought of bringing it along to the beach. We are going on a beach vacation this summer so it is definitely getting packed now! Laura, It is the perfect addition to your beach bag to keep you cool and hydrated! Sunscreen is a must especially in summer.I like using the Cool Zone Banana Boat because it feels so refreshing on a hot day. I agree! I love a spray that cools as well. 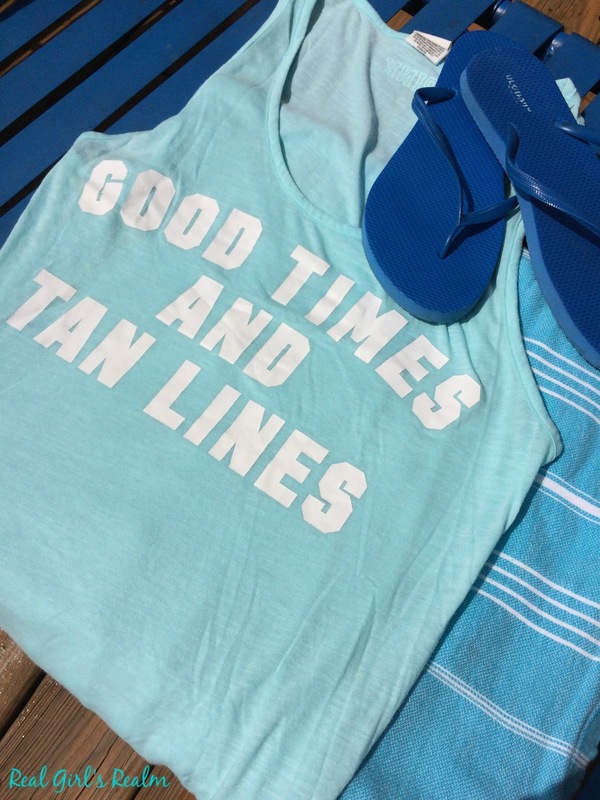 I love summer, the beach, and a giveaway! Thanks so much for linking to Waiting on...Wednesday! Thanks for reading and commenting! Summer is my favorite time too! I am jealous of your summer pics Mary. We are heading into Winter here in NZ. I shall live vicariously through you over the next few months. Oh No Charlene!I am glad winter is over here! I hope my summer pics keep you warm throughout your winter!